Merchant’s Business Services save so much time you may think that there are actually enough hours in the day. Our business services allow you to do more banking from your workplace or mobile device and leave more tasks up to your bank. Call to learn more and you’ll discover a business bank that sees service as a calling. The capability to accept credit and debit cards has become a requirement of doing business. Your customers have come to expect the convenience and flexibility, and you get the advantage of faster and more efficient transactions without the hassle of returned checks. Choosing Merchants Bank to maintain your card processing gives you reassurance of quality service from a community bank that understands your business. You are always connected to great customer service through a support number 24 hours a day, 7 days a week. 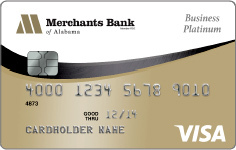 Merchants Bank of Alabama offers instant issue instant issue EMV Chip Business Debit Cards for your convenience. Stop by your local branch and get a debit card that your business can use right away. You’ll have immediate access to the money in your business banking account and can use your instant issue debit card at ATMs and participating retailers and service providers. The chip technology provides stronger protection by making it difficult for your business card to be copied or counterfeited at chip-enabled terminals as a unique code is created for each transaction. 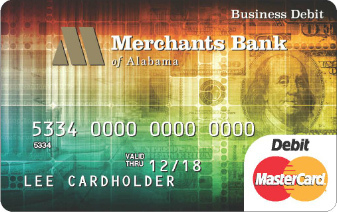 In addition to using your card at chip-enabled terminals, your card has a magnetic stripe allowing you to use it, at retailers who do not yet have chip-enabled terminals. The EMV Chip Debit Card technology provides an enhanced level of security and greater worldwide acceptance as it is already standard practice in more than 130 countries worldwide and more U.S. merchants are accepting chip cards every day. You chose to bank with us for a lot of reasons and we’re giving you one more. Now you can apply online for a Visa® Business Platinum credit card. Cash Back: Earn a full 1% cash back on everything you buy. There are no spending tiers or minimums. 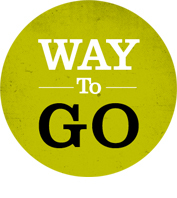 Cash back is earned on all your purchases up to the first $100,000 for business ($79 annual fee) in annual spending. Take care of your business banking needs from work, home or anywhere you have internet access. For 24-hour account information, call 256-737-8888 or 1-877-737-9888. Stop by for Cashier’s Checks, Wire Transfers, Notary Services, Safe Deposit and Night Depository. Use our online banking services to view, print or save your most recent business account statements. Going online is a great way to go green.